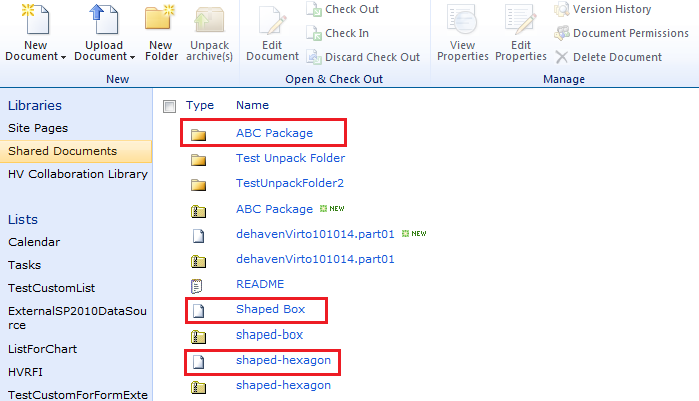 SharePoint Bulk File Unzip for SharePoint 2010 supports unpacking bulk files in SharePoint. And this is its main advantage comparing to 2007 version. When you have installed Virto SharePoint Bulk File Unzip and activated it, you can fully use its features on a SharePoint site. Login to the SharePoint site and go to the document library where archives are uploaded. Note: unpack options is available only for users with the rights to create files. Use “Unpack archive” from the context menu opposite the required archive. Enter password if it is required (if password is set for unpacking for the document library/site, enter this password to unpack). If password is not required, just leave this field empty. Click “Extract” to complete the action. If the unpacking is successful, you will see the confirming message. Click “Back to Document Library” to return to the site. If something goes wrong, you will see the exception message. Archive can be partially unpacked. Note: If the document library requires files to be checked out, unpack action will make check in and check out. 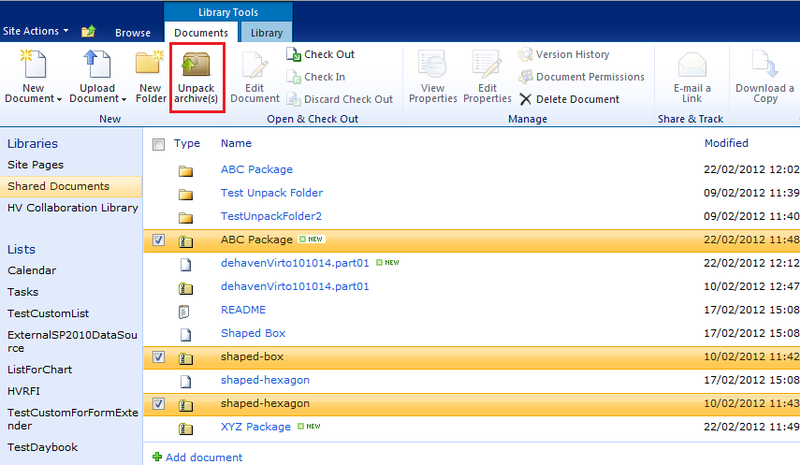 Virto SharePoint Bulk File Unzip for SharePoint 2010 supports also the unpacking of multiple archives. 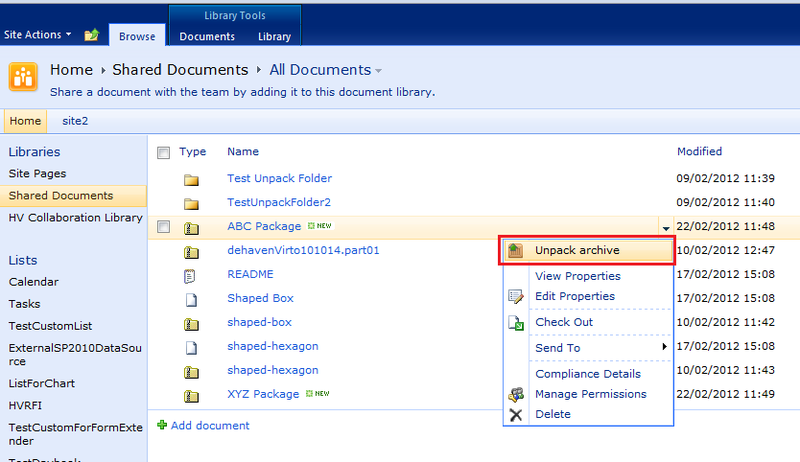 Just select archives in the library and use “Unpack archive(s)” button on the tools panel. Then define settings in the popup window. Extracted files and folders will appear in the document library. 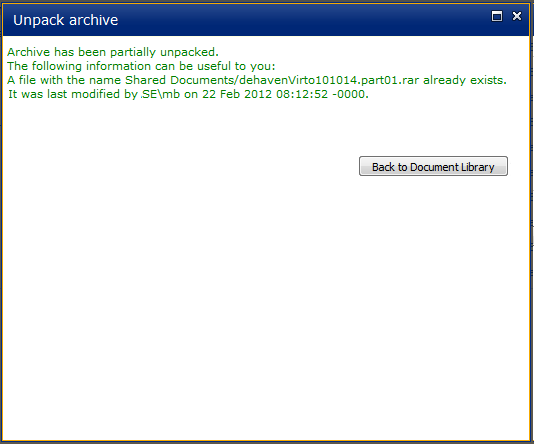 Virto Bulk Unzip allows to keep the structure of archive folders after unpacking. Open the extracted folder. The structure of original folder is kept.